Amy Einhorn Books, 9780399156519, 393pp. The Book of Awesome reminds us of all the little things that we often overlook but that make us smile. With touching, warm, and funny observations, each entry ends with the big booming feeling you'll get when you read through them: AWESOME! "Little things, it turns out, are extremely important to happiness, and The Book of Awesome will remind you of a thousand little things that will make you happier." "1000 Awesome Things is the #1 awesome website." 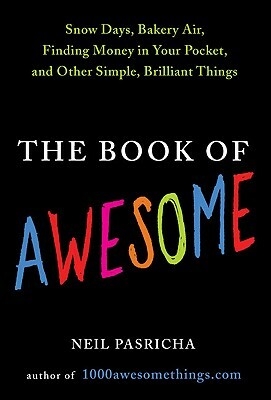 "The Book of Awesome gives me 14,001 things to be happy about. Bravo for taking note of the sunny side of life!" "Even a cynical white person can't deny the appeal of The Book of Awesome." "The awesomest part about The Book of Awesome is the realization that if you enjoy the simple moments in your life, you will be happier." "Funny, sweet, and filled with just enough nostalgia-laced goodness to bring out your own inner Pollyanna. I dare you to read this book without compiling your own list of awesome things to add."